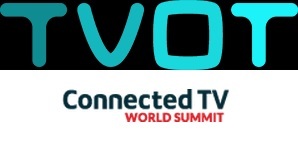 This past June, two annual events on different sides of the globe prompted much discussion on the future of television: San Francisco’s TV of Tomorrow Show, and London’s Connected TV World Summit. Consensus was fairly clear on two topics. First, unity was emphasized between digital companies and television businesses. Second, in both realms, accessible data is of utmost importance. At the Connected TV World Summit, Dr. Ken Morse, Cisco’s CTO of Connected Devices and Video, made a similar point. “Pay TV and OTT TV will be the same thing within the next 2-3 years,” Morse said. According to Videonet Editor-in-Chief John Moulding, who was also at the CTVWS, it’s about widening the audience base. “Media companies have to embrace the ‘digital-first’ mindset and make it their mission to serve people who either reject TV in any of its traditional forms or just prefer their video entertainment online,” he wrote. What does data have to do with this? “When it comes to data one thing was universal – the benefits that unification can bring will put us in an exciting, effective and integrated place,” said James Bourner, head of display at Jellyfish, at TVOT. “The future of TV is going to be driven by data … The winners in this industry will be those that know where to get the data they need and how best to use it.” wrote Liassides in a post-event recap. If you’re looking to be a winner in the television industry, FYI Television has all kinds of entertainment metadata. Inquire about our offerings today by clicking below.